Thank you to editor Beth and all content contributors! 2019 Symposium: Specimen Mines of the West! Here is our September 2018 newsletter! In the past, we’ve had a few people show up to the symposium at the Kelso Red Lion without a reservation, so I’ll remind everyone that you are advised to get a reservation in advance. The hotel has sold out in the past, so sooner is probably better than later! You can also call the hotel at 360-578-4017. Dan Evanich was born in Springfield, Illinois and grew up in Farmington, New Mexico during the early 1960’s. Since the mid-60’s, he has lived in San Jose, California. He has a Bachelor of Arts degree in Business Administration and, after more than 35 years in the consumer electronics industry, is now retired. He has been an avid field collector for the past 20 years, mostly in California, Nevada, Arizona and Utah. He is active in a number of organizations including the Bay Area Mineralogists, NCMA, MSSC, PNWFM and Crystal Gazers of San Francisco. His main collecting focus is the Western US, principally Butte, Montana and Tiger, Arizona. Rick Kennedy has been a mineral collector since he was eight years old, growing up in Ohio and then in the Bay Area of California. He has a BS in Earth Sciences from the University of California, Santa Cruz, and for years he specialized in minerals from San Benito County. Recently, he has become one of the partners at the Jackson’s Crossroads Amethyst Mine in Georgia, Hallelujah Junction in Nevada, and the California Blue Mine in Southern California. He owns Earth’s Treasures, a company that sells mineral specimens and rare faceted gemstones. He is currently a member of the Crystal Gazers, Bay Area Mineralogists, the Fluorescent Mineral Society, and the Santa Clara Valley Gem and Mineral Society. John Magnasco started collecting minerals as a teen at the New Almaden Mines near his hometown of San Jose. 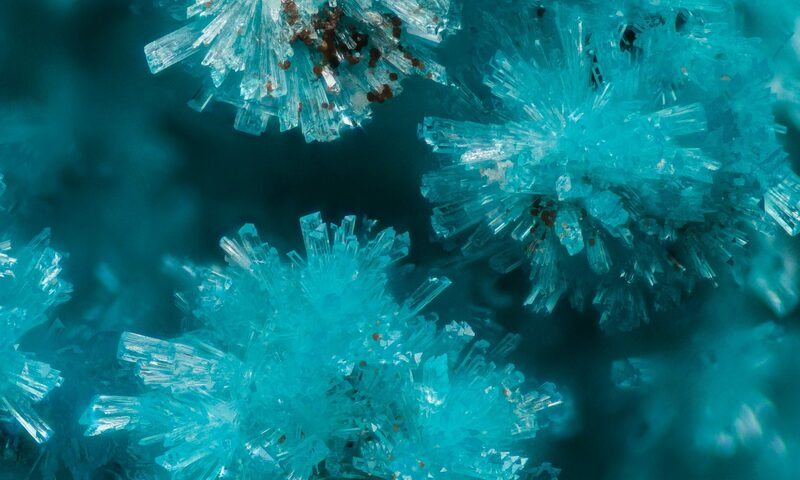 Not wanting to ruin a perfectly good hobby by becoming a geologist, he earned a BS in Industrial and Systems Engineering and became a self-taught mineralogist. He enjoys his work in the consumer electronics and medical device industry and is currently a VP at Verb Surgical, a robotically-assisted surgical company. During the 1990’s, John helped identify and publish articles on numerous mercury minerals from the Clear Creek Claim. His collection focuses on minerals from Japan, Korea, China and California, with sub-collections of Scheelite and rare, well-crystallized mineral species. Scott Werschky earned his graduate degree from the University of Colorado, after which he worked as an exploration geologist for 16 years, prospecting for gold at sites from northern Alaska to southern Chile. He began collecting minerals during the mid-1990’s and soon after founded Miner’s Lunchbox, a company specializing in investment quality mineral specimens. His home base is Reno, close to the gold producing regions of California and Nevada. This, combined with his previous industry experience, has prompted him to focus on gold specimens in his business, making him one of the world’s leading dealers in specimen gold. Registration for “Minerals of California” is now open! We will also have less formal presentations on Friday night in the Pine Room geared towards people new to minerals or FM. These Friday talks will be FREE and open to the public. Our first Friday evening headliner is Leslie Moclock, Curator at Rice Northwest Museum of Rocks and Minerals!